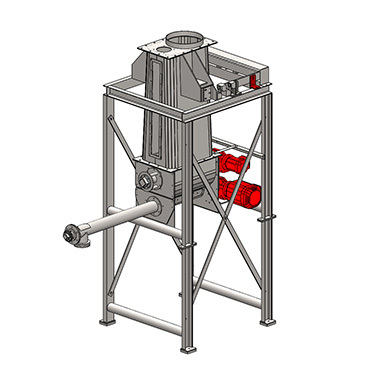 Loss-in-weight-feeders combine the accuracy of a static measuring with the flexibility and efficiency of a continuous dosing system. Due to the flexible construction of the KUKLA-loss-in-weight-feeder strongly flowing and extremely heavily flowing materials can be dosed exactly. By means of loosening devices, which work asynchronously to the actual dosing system, the product is supplied to the dosing screw in a material-friendly and precise way. Depending on the set value and on the loss of weight within the weighing bin the speed revolution of the screw is controlled so that the dosing capacity corresponds exactly to the set value. KUKLA-loss-in-weight-feeders are mounted onto a solid steel frame in order to ensure the stability required for a high-precision measuring. 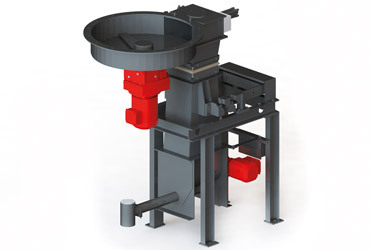 Loss-in-weight-feeders can also be supplied according ATEX rules, on request. Depending on the set value and on the loss of weight within the weighing bin the speed revolution of the screw is controlled so that the dosing capacity corresponds exactly to the set value. KUKLA-loss-in-weight-feeders are mounted onto a solid steel frame in order to ensure the stability required for a high-precise measuring. 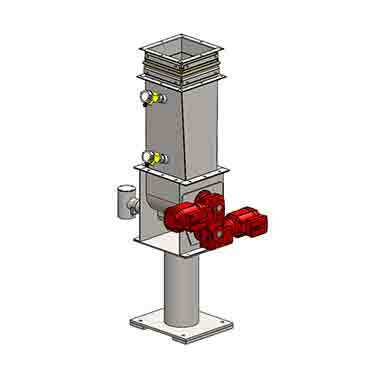 Loss-in-weight-feeders can also be supplied according ATEX rules, on request. Depending on the set value and on the loss of weight within the weighing bin the speed revolution of the screw is controlled so that the dosing capacity corresponds exactly to the set value. KUKLA-loss-in-weight-feeders are mounted onto a solid steel frame in order to ensure the stability required for a high-precise measuring. Loss-in-weight-feeders can also be supplied according ATEX rules and in pressure shock proof design, on request. 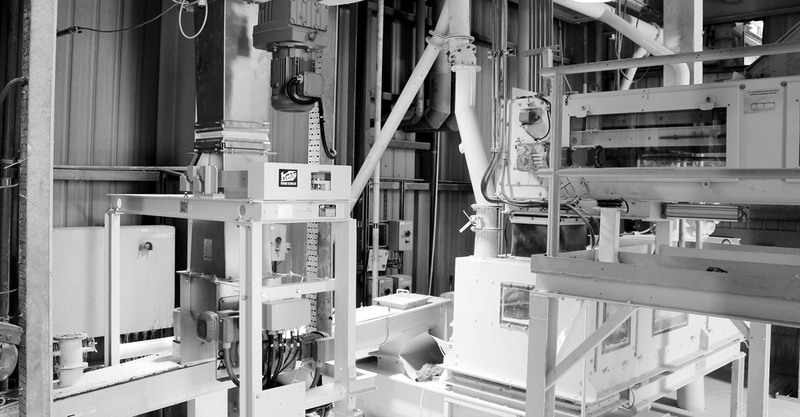 A volumetric dosing device is extremely versatile. 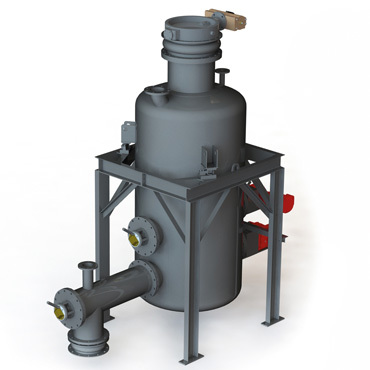 The classical area of application is within the low to middle range of conveying capacity for continuous dosing of fine to granulated bulk materials. Volumetric dosing devices are applied especially for dosing of additives in the gypsum board production.